Before having kids I always fantasized about the things we could do together as a family. One of them was watching the Olympics opening ceremonies. 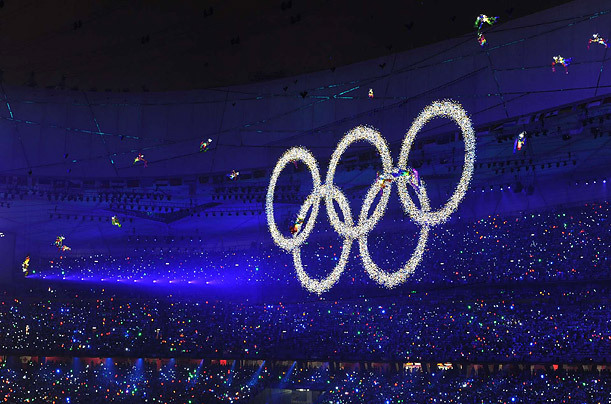 For the 2008 Summer Olympics in Beijing, we tried watching the opening ceremonies. I built it up so the kids would want to partake and ordered Chinese food (that they were allowed to eat in front of the TV). I lost the two youngest Sun Kissed Boys as soon as they ate their fortune cookies (that might have been devoured before or after dinner). Sun Kissed Boy #1 humored me a little longer because I had hyped it so much, but I lost him before Greece came out in the Parade of Nations. They are a little older now so I have high hopes for 2012 Summer Olympics in London. Maybe I'll bribe entice them with scones. However, after many years of waiting, at least I've implemented another one of the other things I dreamt about, Family Game Night. Neither Sun Kissed Husband nor SKB#1 have ever been into board games so we've never sat down as a family to play. But things are changing as SKB #1 matures and Sun Kissed Husband wears down wants to please me the family. The game of choice was Monopoly. Kind of a big-boy game to start with but I didn't pick it and I didn't really care. I was just happy to play. I'm not sure what the deal is with the fierce dice throwing. They're very passionate about numbers on a cube I guess. 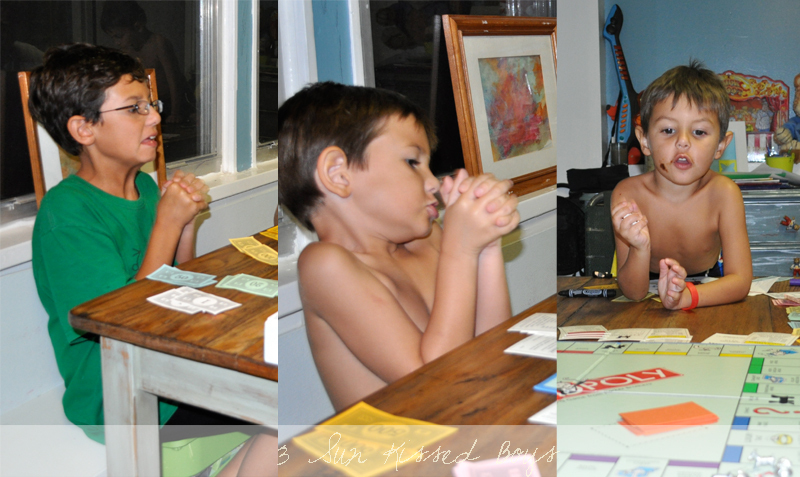 We played for about 45 minutes, counted up everyone's money, and declared the "richest" person the winner. Not exactly by Monopoly rules but I'll take it. We've played family games forever and actually still do, though not on a regular basis. Some of our favorites: Guesstures, Apples to Apples, Scattergories, Pictionary, Brainquest (adults have to answer 6th grade questions and believe me it's about the roll of the dice more than anything), and we play a lot of card games. Enjoy...it's something that all my kids still love to do. I LOVE your Olympics idea! We watched a few of the games but didn't watch opening ceremonies...and buying Chinese food for the night was such a fun idea! We play board games every once in a while, but not really that often. Remind me not to play board games at your house...pretty intense dice-age there. We have played a few board games here and there, but not as much as I'd like. It's not often that we find a game that we all really enjoy doing together and the ones that Kayla like are too old for Kelsie. The intense faces throwing the dice...Kelsie is the same way! She said that she gets the number she wants that way. Ha! Well, I've so been there, done that with building up an event in my kids' minds, only to find them disinterested when we finally start the event. 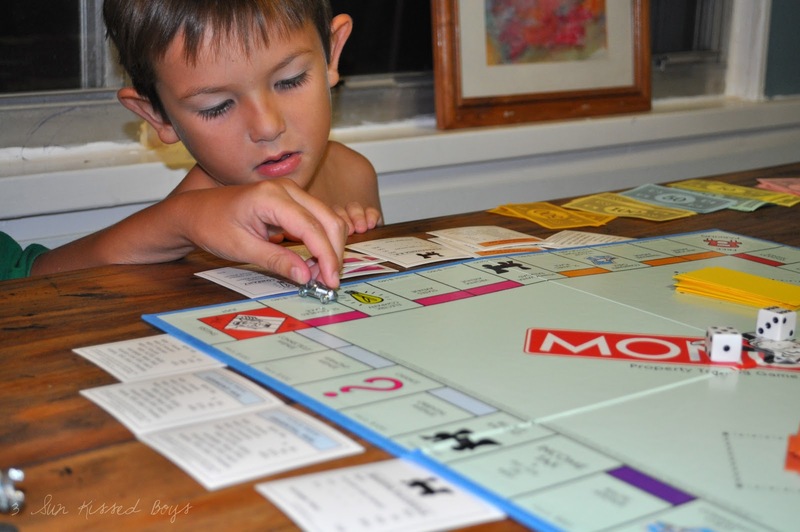 We do have family game night occasionally, and have tried Monopoly a handful of times. 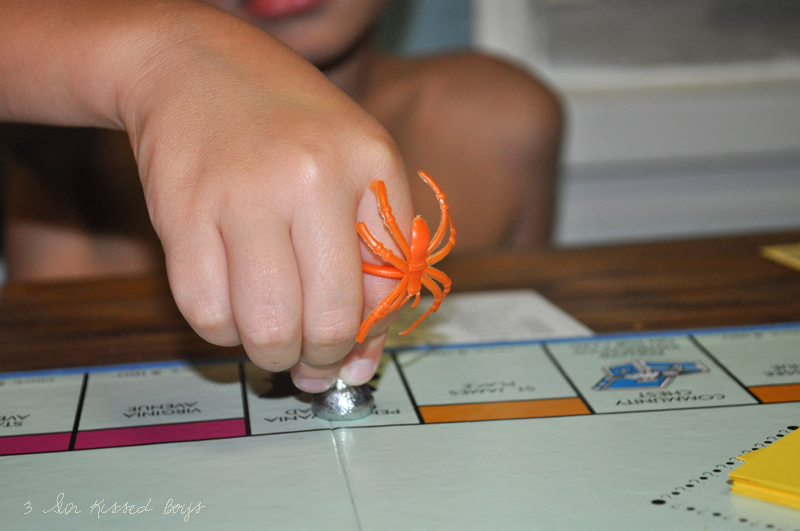 The first time was definitely all about the money, but they are moving toward using all of the rules, and even (to my shock) played a game themselves for two hours, completely unassisted, one Saturday morning recently. But without question, the best part about family game night is just hanging out together.